Buhwi Bira Byron Studio is a little jewel in the heart of Byron Bay. It surprises with its unique and clever architecture, inside and out. You will appreciate the quality in the detail and the joy in beautiful design and materials. The studio is a self contained sanctuary with a luxury feel that will put you at ease, providing the space and memories for a complete holiday. Buhwi Bira is in the perfect location; minutes to the beach and the finest restaurants, bars, cafes, shopping and night life. Walk everywhere, no traffic and free parking. The compact kitchen is well equipped with essential appliances and full stainless steel benchtop/splash back. A weber BBQ adds further convenience within your leafy courtyard garden oasis. It has a queen bed with crisp white linen, contemporary Danish furniture and all the facilities necessary to make your stay as pleasant and easy as possible including full laundry, TV, DVD player and free WiFi . Buhwi Bira is well located to enjoy the many attractions of the town, staying here you will get a great feel for the authentic Byron lifestyle. We are always happy to give local advice and help you make the most of your visit. Buhwi Bira means "breathe" in Bunjalung. The Bundjalung of Byron Bay – Arakwal Bumberlin people, have lived in the coastal landscape around the Byron Bay area for at least 22,000 years. The Arakwal call Byron Bay "Cavvanbah" or "Meeting Place". Byron Bay is a traditional place of rest, rejuvenation, socialisation and reconciliation - welcome. Hi, my name is Paula. I have lived in the Northern Rivers for 25 years and love sharing this very magical paradise with others. I love meeting new people from all cultures and sharing my love & knowledge about this beautiful area. Come share the experience & meet our friendly colourful community & have a good time. We love the unique location - in the heart of the town, yet secluded, private and quiet. We're right next to the markets, the beach and all the lovely cafes and shops. The beautiful architecture of the studio is a total oasis in the heart of Byron Bay. Relax into the outdoor bath and take in the nature surrounding you. Reverse -cycle - Please switch off when departing studio, save the planet. Park in Butler Lane parallel to studio on opposite side. A full equipped kitchen with filtered water, stove, microwave-oven, fridge and a range of cooking utensils. 3 nights a must. Perfect location, perfect weekend, completely relaxed. Would highly recommend and most definitely would return. Perfect way to celebrate a big birthday in Byron Bay. Buhwi Bira is lovely in all ways. It feels like a home away from home. Everything you need is provided and Paula is a great host. We especially enjoyed the outdoor bath. Would recommend highly and we will be back. The studio is very romantic and spacious. Close to the main part of Byron. Perfect for a couple looking to spend some quality time together. A lovely little getaway for my partner and I. We fell in love with the bathroom and the outside bath. 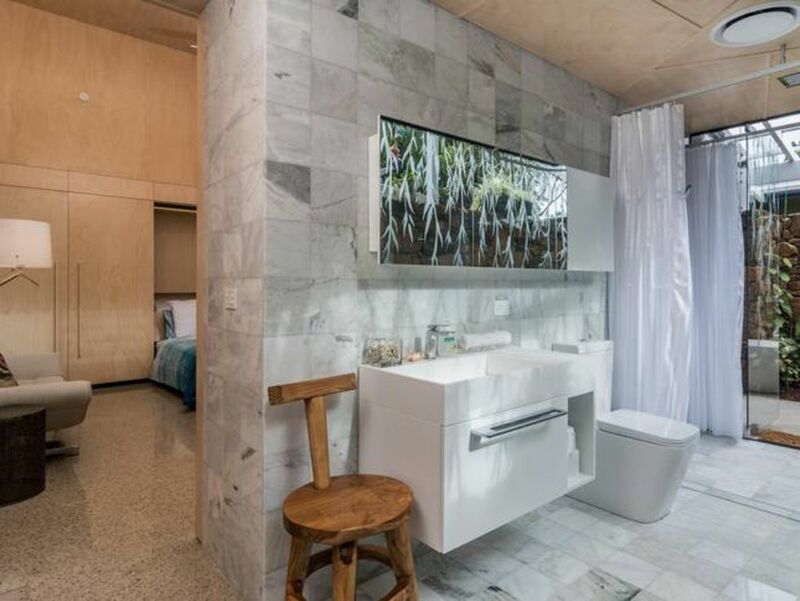 It’s a secluded little villa to hide away in after the fun of Byron bay. Only a 5min walk to town and the beach. Highly recommend this villa to couples. The reputation of this famous beach town precedes it to such an extent that first impressions may leave you wondering what all the fuss is about. What makes Byron special is the singular vibe of the town itself. It's here that coastal surf culture flows into the hippie tide washing down from the hinterland, creating one great barefooted, alternative-lifestyle mash-up. The town centre is low-rise and relaxed, and the locals are dedicated to preserving its essential small-town soul. Its unique atmosphere has a way of converting even the most cynical with its long, balmy days, endless beaches, reliable surf breaks, fine food, raucous nightlife and ambling milieu. Staying at the beach until sunset. Eating at one of the many outdoor restaurants around the area. Evening strolls through the CBD to take in the nightlife and grab some fresh gelato while listening to the many street musicians. Walking the Lighthouse trail at sunrise and watching the whale migration (May-October). Visiting the many markets in the area. Northern NSW is renowned for it's lively and unique markets. A great place to meet friendly people & have a good time. The Ballina/Byron Gateway Airport is a 30 minute drive south of Byron Bay. Coolangatta Airport (Gold Coast) is a 45 minute drive to the north. Regular shuttle bus services are available door to door to and from both airports.